Prescriptions to Geaux is expanding its Baton Rouge footprint with a second location, which owner T.J. Woodard hopes will serve as a model for potential franchising opportunities. “It’s an area desperate for an independently-owned pharmacy,” Woodard says of the new location in the shopping center at 6251 Perkins Road, in which the pharmacy will fill a 2,000-square-foot space most recently home to Fleet Feet Sports. Woodard says the shopping center’s proximity to the fledgling Baton Rouge Health District and nearby neighborhoods also made it attractive for a new pharmacy. Woodard opened his first location in 2013 on Third Street downtown. He and his wife previously worked at a large chain pharmacy and found it lacked the personal touch and customer service they desired. A permit was granted this week for renovation work for the Perkins Road pharmacy, and Woodard says he’s aiming for an April opening. The new location is roughly a mile from two Perkins Road Walgreens—one at the corner of Essen Lane and one at the corner of College Drive—but Woodard says he’s not concerned about the competition. 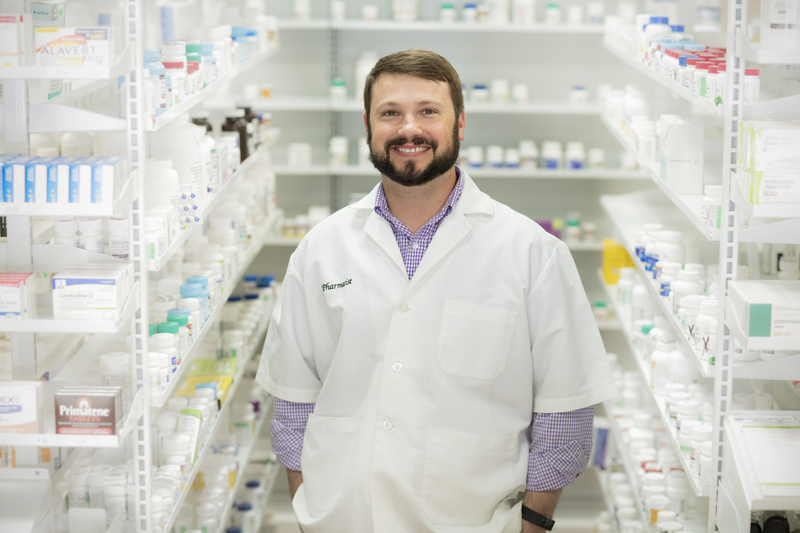 “Some say it’s scary for us to be between two Walgreens, but we’re kind of in the middle, which is where I want to be,” Woodard says, noting that the business separates itself from big-name competitors like Walgreens by offering a more personalized pharmacy experience. “It sounds cliche, but (the customers) become like family,” Woodard says.